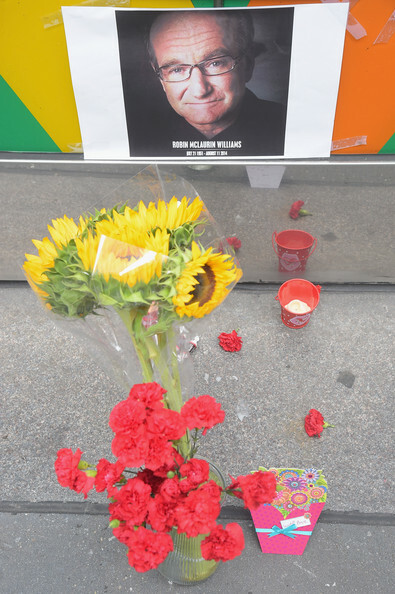 Flowers, tootsie rolls, a card, and a candle are placed in memory of Robin Williams in front of Carolines on Broadway comedy club on August 12, 2014 in New York City. *Our last interview with Robin Williams was in January, on the set of his CBS series “The Crazy Ones” in Los Angeles. The comedy, cancelled four months later after just one season, starred the late actor as an eccentric Chicago ad executive, and Sarah Michelle Gellar as his tightly-wound daughter and partnerwho had to constantly reign him in. It marked Williams’ return to series television for the first time since “Mork and Mindy” 31 years ago. The show’s executive producer and writer David E. Kelley was also feeling some pressure during the project’s early stages. “I also was daunted at the prospect of writing for Robin Williams and especially doing a comedy at that,” Kelley told us. “I mean, the idea of me trying to supply the architecture for comedy to Robin Williams is like handing me the keys to a NASCAR race car and saying, go compete. I felt totally ill-equipped. “But I had seen so much of his work. You know, we all have, but as a dramatic actor, too. And I think I responded as much to the dramatic actor as to the comedic one, because I knew — my sense of the series, at least conceptually, the nucleus was the father-daughter relationship, which was not going to always rely on comedy; there were going to be more tender moments. And for that, I needed true actors. So I was heartened that I was getting a great actor. 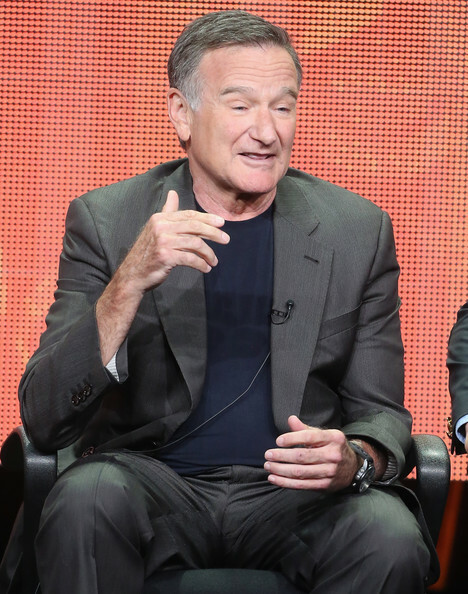 Below, Williams talks more about returning to television after 32 years – as only Robin Williams could, complete with sound effects, character impressions (including former co-star Holly Hunter) – and even a sudden helium-voiced, Irish accented rendition of “Danny Boy” egged on by his co-star Hamish Linklater.